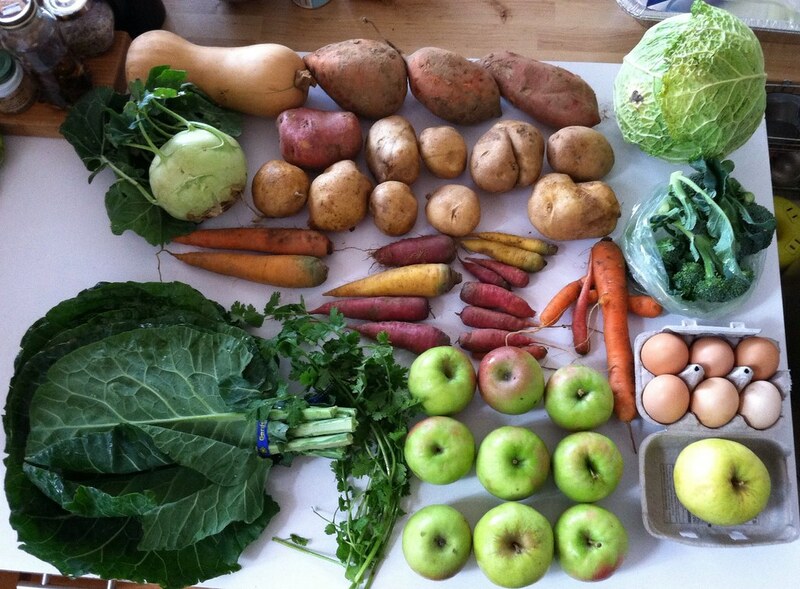 CSA #23 – ugly food tastes better. Second to last pick up and it shows! The freaking Hurricane Sandy follow-up blizzard had in hand in our meager share as well. Still very glad to have anything at all right about now. AND I got to be in line behind the cutest friggin kid ever, who was helping put everything on the scale for his father, and then me. 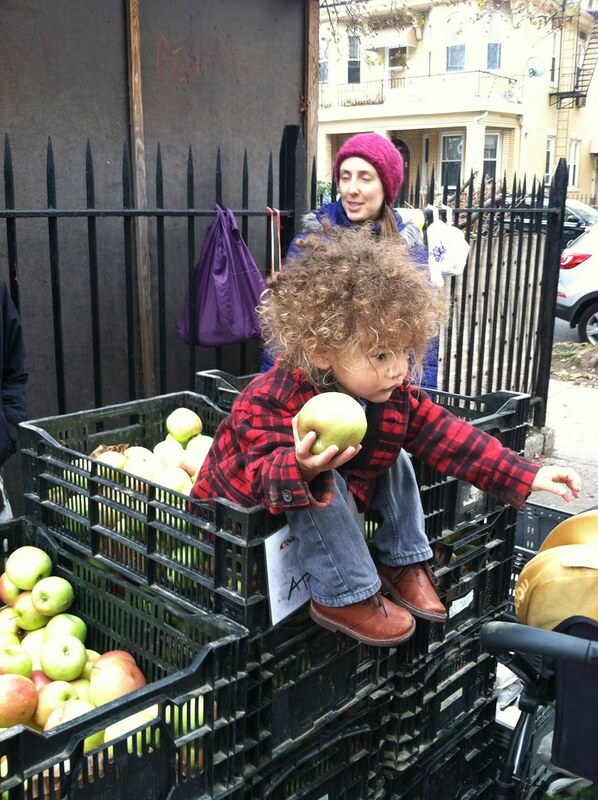 And then he helped with the apples! As for the full haul…here we go! Fruit share: 5 lb apples. I have no time to cook this week…chances are, this is getting all thrown in to one pot and being made in to stew. I am catering a bunch of holiday parties this season, as well as prepping to compete in The Chili Takedown. Please get tickets and come out and vote for me!! 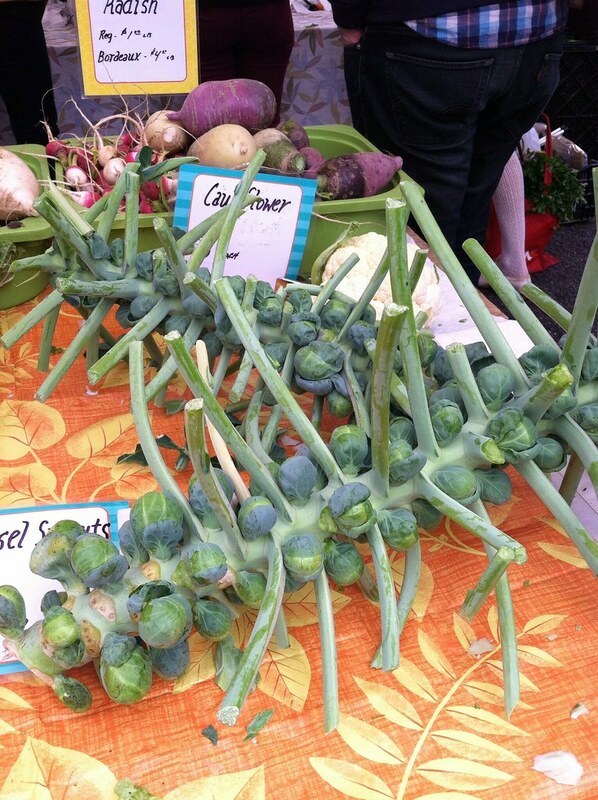 And in case you needed a fat stalk of brussel sprouts….I always forget that this is how they grow.